In 1933, the first Lacoste brand name logo was stitched on the front of a garment and was inspired by Rene Lacoste's love of the strength of the crocodile. Since the first launch of Lacoste Fragrances in 1984 Lacoste has rebranded and remodelled to create a fragrance range that has immense and broad appeal, something that is in these times often hard to achieve. Each Lacoste fragrance is distinct but still maintains a brand image, of strength, wearability and creativity and as such is an integral part of the Lacoste brand. Notes: Lacoste Dream of Pink changes the orange and carrot seed opening of Lacoste Touch of Pink and instead begins with an enegetic and sweeter burst of red fruits and berries. Lacoste Style in Play Aftershave is a fresh aromatic aftershave that was created in 2004 as a new fragrance for active men. Lacoste Style In Play contains Manzana Verde, Liqueur, Apple and Vetiver. Lacoste Inspiration Perfume was created in 2006 and is a fresh but feminine oriental fragrance. Lacoste Inspiration perfume contains notes of Plum, Pomegranate, Mandarin Orange and Sandalwood. Lacoste Elegance Aftershave is oriental aftershave for men and has been created for the effortless, ideal Lacoste Gentleman. Lacoste Elegance contains Sandalwood, Cedar, Cardamon and Juniper. Lacoste Dream of Pink draws on the original pink theme of Lacoste Touch of Pink but adds a sweeter, fresher and more girly edge with the addition of red berries and rose. Lacoste Pour Femme Perfume aimed at capturing a feminine and energetic woman, who desired a perfume that was soft and sensual, yet sporty, without the usual citrus base. An uplifiting blend of floral, fruity and woody tones. 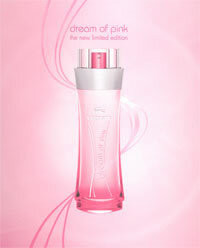 Touch of Pink by Lacoste aims to attract a youthful feeling audience and donates a simple yet feminine experience. Lacoste Touch of Sun is a fragrance that has been created to feel like the essence of summer! Lacoste Touch of Sun is an energetic and uplifiting fragrance by Lacoste. Lacoste Touch of Spring Perfume is a fresh floral fragrance that was a limited edition scent for 2007. Lacoste Touch of Spring contains notes of Sandalwood, white florals, marine notes, hosta, jasmine and freesia. Lacoste Pour Homme Aftershave is a sensual and elegant woody oriental aftershave. Lacoste Pour Homme contains Italian Bergamot, Plum, Apple, Cinnamon and Sandalwood. Lacoste Essential Aftershave is created as an invigorating and fresh citrus and wood fragrance. Lacoste Essential contains elements of Tomato Leaf, Black Currant , Grapefruit and Patchouli.